I’ve started a new segment on my blog called – Brand Talk which is dedicated to what else … brands! I thought this would be a great idea to introduce brands that I love ( some well known and some not). They won’t all necessarily be beauty brands as I’ve started to branch out into some lifestyle but more on that in the next few posts. This new segment is not a review per se of the brands products, just an introduction of the brand and what they have to offer and most importantly what products from the brand I use because honestly why talk about a brand if #1, I haven’t tried their products and #2, if I don’t like their products. Maybelline New York is by far my favourite “true” drugstore product. When I say ” true” drugstore I’m referring to the budget friendly products sold at the drugstore and not the $80 moisturizer also sold at the drugstore. Maybelline New York is the top selling cosmetics brand and is sold in in over 1oo countries. So basically you can hear ” Maybe She’s Born With It. Maybe It’s Maybelline. ” in over 60 languages! Fun fact: Maybelline is named after the founders sister Maybel ,who invented mascara! Maybelline Great Lash mascara is the worlds most iconic mascara ( fact) and this pink tube of mascara is sold every 1.7 seconds! Maybelline also has you covered from eyes, face to lips! I’ve used many Maybelline products but my absolute favourite product, and I’ve talked about this product before, is the “Pumped Up Colossal” Mascara. I always go back to this particular one because it just works for me. I hope they never discontinue it as it’s my go-to for life! In this non-photoshopped photo above I used the colour correcting kit to conceal my dark circles and then the Master Conceal in medium. I blended them in with a damp beauty blender and they melted into my skin! What surprised me the most actually was how well the Illuminating highlighter worked. It has a creamy texture and on applies effortlessly on my skin and the highlight effect lasted all night ! You notice in the picture the highlight suits my overall look. I didn’t want to go overboard with it but added a bit of highlight to draw light to my face.I achieved this look with only one swipe of the highlighter and it was enough for me. For another occasion I layered the illuminating highlighter on-top of another cream based highlighter and it looked even more gorgeous. The micro -fine pearls in this product definitely come through even when layered. This actually is my first creamy highlighter that I have totally fallen in love with. I usually stick to powder based highlighters but I’ve been converted. I also love that it’s small enough to carry in a teeny tiny clutch in the event that a touch up is needed! What are your favourite Maybelline products ? Let me know in the comments below ! The launch of the Make Up Forever HD concealers was for me, the most anticipated makeup launch of 2016. I’ve been using the same brand name concealer now for about a year and I wanted to try something different. If you haven’t noticed already, I have a love for Make Up For Ever products and I couldn’ wait for them to launch their new ULTRA HD concealers. 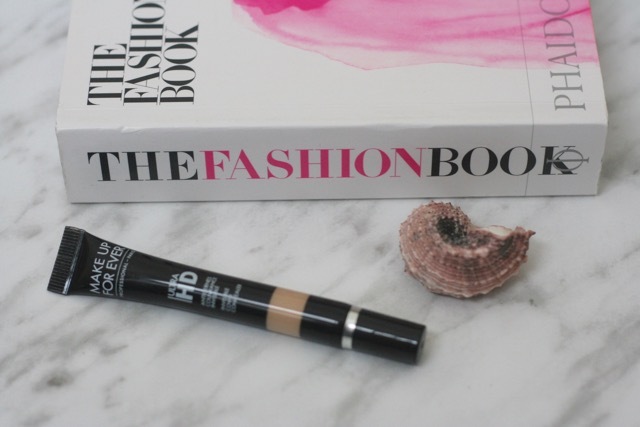 The concealer is housed in a slender 7ml black circular tube, making this very convenient for travel. I bought the Y31 shade and R30 corrector (at the time I took the photos, I couldn’t find my R30 and may have to repurchase it! ).The concealer is very liquidy so be careful when squeezing the tube as you may receive more product than you really need. The formula itself, according to Make Up For Ever, “reflects light to erase shadows and fills & smooths fine lines, and Hyaluronic Spheres help hydrate skin”. I can definitely agree that it does reflect light and hydrates the skin. I have minor fine lines and some dark circles and I did notice the fine lines were considerably less noticeable after application.I found the coverage to be more of a medium coverage and I used my finger to lightly dab a pea sized amount under the eyes. 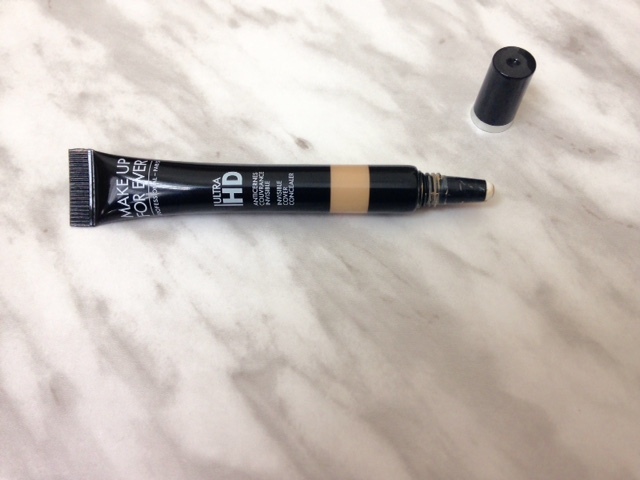 As per usual, I set this concealer with the Laura Mercier translucent powder. This is not a sponsored post.I bought these products with my own money. The opinions expressed here are mine.